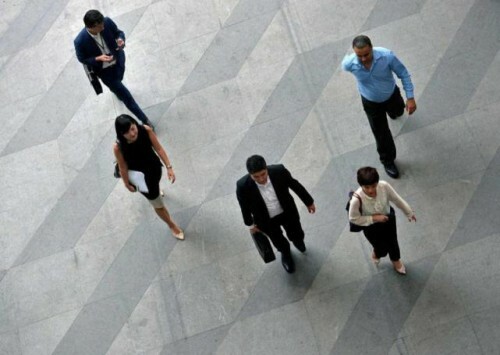 SINGAPORE - The gloomy economic climate has taken its toll on the labour market here, with layoffs for the first nine months of the year at their highest level since 2009. But there is a silver lining: More residents were securing re-employment, with re-entry rates at their highest level this year. This is according to the Ministry of Manpower (MOM) which released its Labour Market Report for the third quarter of 2016 today (Dec 13). MOM cited the current subdued global economic conditions and ongoing economic restructuring as reasons for the contraction in employment, rise in redundancy levels and decline in the job vacancies to unemployed ratio. A total of 13,730 workers lost their jobs in the first nine months of 2016, MOM said. This is higher than the same period in 2015 (10,220) and the highest since 2009 (21,210). In the third quarter alone, 4,220 workers were made redundant. The bulk of the layoffs came from the services sector, while professionals, managers, executives and technicians (PMETs) formed the majority of residents made redundant in the third quarter of the year. A total of 14,400 workers were retrenched in the whole of 2015. On a more positive note, MOM pointed out that nearly half of residents who lost their jobs in the second quarter of the year had secured re-employment by September 2016. The 49 per cent re-entry rate is up from the previous quarter (45%), and represents the first increase after a general downtrend since December 2014. Total employment contracted by 2,700 in the third quarter of 2016, the first decline since the first quarter of 2015. There are now a total of 3,670,700 people employed here as of September. The decrease was primarily due to contractions in the manufacturing and construction sectors, which mainly affected work permit holders, MOM said. From January to September, however, total employment grew by 14,500 - the lowest such growth since 2009. During this period, the construction and manufacturing sectors shed 3,200 and 8,900 jobs respectively. But these declines were offset by an increase of 27,100 workers in the services sector. MOM said that the subdued labour market performance for the manufacturing sector is likely to continue in the final quarter of the year, as firms expect to hire fewer workers. However, it added that the hiring in the service sector is expected to increase in the fourth quarter, amid the festive season. The overall unemployment rate remained at 2.1 per cent in September, unchanged since June. Since the previous quarter, the unemployment rate remained broadly similar among residents (3.0% in June to 2.9% in September) and citizens (3.1% to 3.0%). MOM said that in September that an estimated 66,600 residents, including 58,500 Singapore citizens were unemployed. However, the ministry highlighted that the long-term unemployment rate, which refers to those who are out of work for at least 25 weeks, has gone up to 0.8 per cent in September from 0.6 per cent a year ago. The long-term unemployed now from 30 per cent of unemployed residents, and is the highest observed for a September period since 2002 (33%). After six straight quarters of declines, the number of job vacancies rose to from 49,400 in June to 50,800 in September. However, there were more job-seekers than job openings for the second consecutive quarter. MOM said that there were 91 openings per 100 job-seekers in September, lower than the 93 openings in June 2016.